Over the past 16 months Abu-Jamal has suffered an array of symptoms and ailments that witnesses at trial testified were symptomatic of and likely caused by an active case of Hep-C, an infection the state has known him to have in his body since a blood screening test taken in 2012 when he was first transferred off of death row and placed into a general population prison following the overturning of his 1982 death sentence. 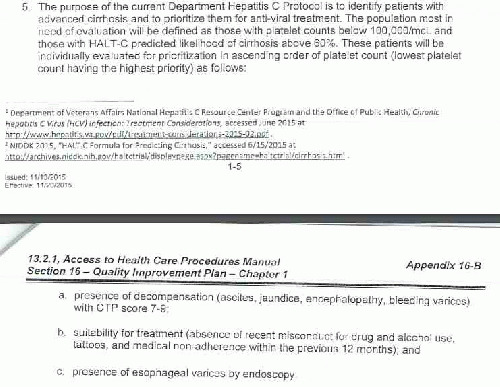 During subsequent testimony by several DOC witnesses, including executives from Corizon, the controversial private Tennessee-based contracting firm that is supposed to provide medical services to the state's prisons, and from the DOC itself, it was revealed that for 22 months until last November, the state DOC had no guidelines for treating the Hep-C epidemic that afflicts as many as a quarter of the state's prison inmates. It was also disclosed that the DOC attorney, Laura Neal, had in her possession at the defense table a copy of a new treatment "protocol" drawn up in November, which the state had not even informed the court or Mumia's attorneys existed. She said she had planned to use the document in questioning her witness, but had not intended to enter it into evidence. That document proved to be stunning in its callous barbarity. 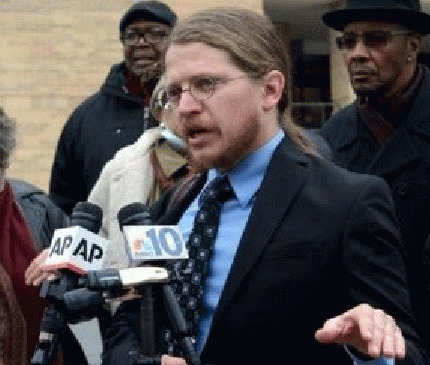 As Mumia's attorney Grote explained in an interview last Wednesday on PRN.fm's weekly "This Can't Be Happening!" radio program , the DOC's new Hep-C treatment protocol states that the department "won't consider treatment until there is evidence of advanced cirrhosis...permanent irreversible organ damage that carries with it the risk of death." He went on to say the protocol then adds a second hurdle before treatment: "They require an endoscopy looking for something called esophageal varices...a condition where the blood vessels of the esophagus are literally about to burst. If there's no esophageal varicies, they continue to refuse Hep-C treatment and just say to test for esophageal varices again in another three years." It was a stunning admission that the state is simply unwilling to provide a medically necessary treatment to cure what is a raging epidemic among its prison population, because of the estimated $85,000 per imnate cost of treatment. Yet as Grote points out, each prisoner like Abu-Jamal who has an active Hep-C infection will cost the state far more than the $85-$100.,000 cost of the medicine for the 12-week cure. Abu-Jamal, alone, with his tests and hospitalizations over the past few months has cost the state well in excess of $100,000, according to Grote, and meanwhile, nothing has been done to treat his underlying Hepatitis infection. Grote says that the state is operating "a death panel like conservatives were saying was in Obamacare, only this is a real death panel (called the Hepatitis C Treatment Committee), composed of a few DOC executives and a few people from Corizon."